There’s a lot of frustration in the fibro community. If you spend any time on Facebook groups devoted to this condition, you’ll pick up on it immediately. People are looking for a cure. They’re desperate. They want their doctor to give them something to make it go away. They want to feel better. They hope their new drug regimen brings much needed relief. They’re disappointed when it doesn’t. They hop from doctor to doctor. They see specialists. They undergo invasive tests. They spend a lot of time in medical settings. Still, nothing works. Nothing helps to relieve the excruciating pain and mind-numbing fatigue. They don’t know why. They’re often sad, angry and depressed. Although I don’t claim to have all the answers, I do have a suggestion. You have a computer and you have Internet access. Dive in and do your own research. 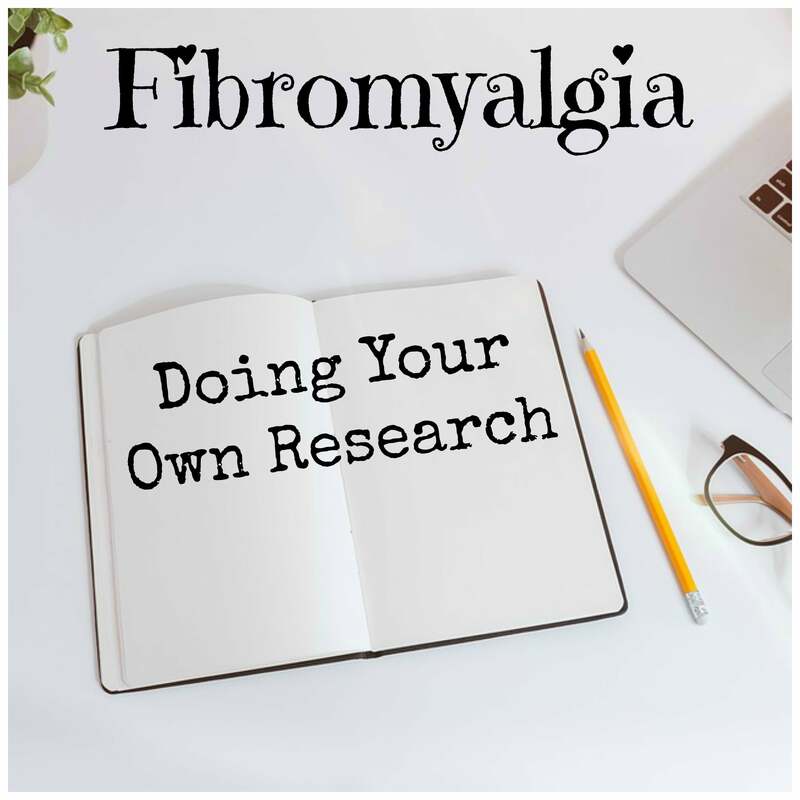 There’s a ton of information online about fibromyalgia. There’s also a lot of good information on natural health. Once you dig in, you’ll probably learn that no fibro drug regimen will lead to a cure. The drugs are not marketed as curative. Instead, they can maybe relieve your symptoms. They may also create new ones. Some of the side effects are potentially serious, and even life threatening. Whether or not the risks are worth the benefits is something only you can decide. That’s why your own research is needed. Perhaps you’ll reach the conclusion that pharmaceuticals are right for you. But, maybe, you’ll explore other options. Some people enjoy good results with natural remedies. (I’m one of them.) I wouldn’t have known this, though, if I didn’t do my research. There are other reasons why it’s a good idea for people with chronic pain to do their own research. One huge reason is that your doctor may treat you. But he or she isn’t the one living with the pain. He or she isn’t personally invested in the consequences of your treatment. You’re the one who has to live with side effects. You’re the one who must contend with chronic unresolved pain. Here’s another reason why it’s a good idea to learn all you can about your condition. Conventional medical doctors are trained in a drug-based model. This means they learn to treat their patients with drugs, and/or surgery. They don’t learn much about nutrition in medical school. Nor do they generally learn about herbal remedies and other forms of natural healing, such as acupuncture. So, when you visit a regular doctor, you should expect to receive a prescription. Even though conventional medicine has its place, you should realize its limitations for fibromyalgia relief. That’s why it’s important to visit your physician with realistic expectations. I’m not a doctor or a trained medical professional. So I write about chronic pain from the perspective of a patient. I’ve done a lot of my own research. I’ve also learned about natural healing, so I have a good idea what type of risks I’ll accept. Doing my own research has led me to decide on a natural approach. I’ve never taken any sort of fibromyalgia drugs. The only medication I’ve taken in this decade-long battle is a few ibuprofen. I stopped taking them when I realize how little they helped. Actually, they didn’t even touch my pain. This, I’ve learned is typical. Ibuprofen seems to be pretty useless for fibromyalgia. That’s why I always encourage my readers to do their own research. Learn all you can about your disease. There are some excellent resources. Medical studies are well and good. There are a lot of them you can access online. Just bear in mind, though, that many of them are drug based. If you’re interested in a more natural approach, you may not find as much studies. Here’s another reason to do your own research. Each one of us is different. We respond differently to drugs, as well as natural remedies. So it’s important to learn more about your disease, and what works for you. For instance, turmeric is often touted as a cure-all for chronic pain. But it doesn’t help me. However, it may help a lot of other people. That’s why it’s important to learn what works for you. Below is a link to my online course that’s filled with ideas that can hopefully inspire others to start or continue on their natural healing journey. Click on the image below for more information.